Start spreading the news, Windstar Cruises will be sailing into (and out of) Manhattan on its first-ever itineraries in New England and Canada beginning summer/fall 2018. Windstar’s 212-guest all-suite yacht Star Pride will embark on four new sailings (with five sail dates) that span nine to 16 days, offering leisurely opportunities to enjoy fall foliage and discover charming New England coastal towns, historic gems like Boston and Newport, and the seductively old world appeal of the Canadian Maritimes and Quebec. 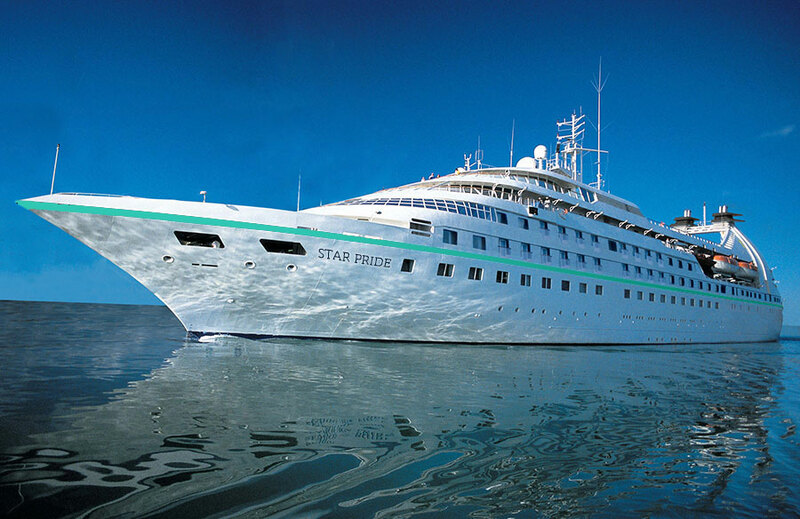 Star Pride will arrive in New York for the first time via Iceland. This announcement comes on the heels of news that the small ship cruise line, headquartered in Seattle, will be sailing to Alaska and along Canada’s west coast aboard Star Legend, a sister ship to Star Pride, in spring/summer 2018. The company has not sailed in North America in recent years, so the addition of both regions is a major development for the company, which operates primarily in Europe, the Caribbean/Central America, and French Polynesia. The journey from Iceland to Manhattan is best experienced by small ship, with scenic cruising through fjords in southern Greenland’s Prince Christian Sound – only 1,500 feet wide at some points and aweing visitors with steep granite mountains that stretch from sea to sky. A chance to see polar bears in Nanortalik is followed by time in the quaint towns of Newfoundland, along with the UNESCO sites of Red Bay and L’Anse Aux Meadows and their whaling and Viking pasts. The itinerary will also allow tours to Gros Morne National Park (an UNESCO World Heritage Site) and Acadia National Park, accessed via charming Bar Harbor, Maine. A final day sailing through Cape Cod Canal, inaccessible to larger ships, brings guests into the heart of Manhattan for disembarkation. From the spectacular scenery of Gaspe and Saguenay Fjord to vintage towns like Newport and Bar Harbor, the cruise captures the best of New England and Southeast Canada. Guests can explore the Gilded Age mansions of Newport, Rhode Island, and a unique stop in Provincetown, Massachusetts – the site of the landing of the Mayflower. Other highlights include the autumn spectacle of Acadia National Park and an overnight in Quebec City, perfect for taking advantage of the vibrant city’s nightlife. Cruising from one postcard-perfect scene to another in waters alive with whales and fishing boats paired with French-Canadian ports oozing Old World charm, this itinerary brings an excellent blend of bucolic and urbane. Guests will enjoy watching for rare beluga whales in spectacular Saguenay Fjord or falling under the spell of historic Charlottetown on Prince Edward Island, best seen via horse-drawn carriage to truly understand how it inspired Anne of Green Gables. Time on Portland, Maine’s waterfront and sampling its hot restaurant scene is followed by historic Boston. This voyage from Boston to Montreal gives a taste of historic beach towns, quaint lobster fishing villages, and cosmopolitan cities that reflect their French heritage. Stopping in Provincetown means guests can explore the site of the pilgrims’ Mayflower landing and interesting art galleries in town. Other highlights include time in Rockland, Maine, known as the lobster capital of the world; ample opportunity for a visit to a local pub (thanks to Windstar’s late night departure) in vibrant Halifax, which boasts the highest pub to person ratio in Canada; a fascinating transit through the 79-foot-wide Canso Canal; and an overnight in Quebec City. All Windstar sailings in Canada & New England in 2018 will take place aboard the 212-guest Star Pride, boasting all-suite accommodations. In 2016, Star Pride underwent a major interior renovation, including the refurbishment of public spaces and revitalization of two stunning Owner’s Suites. The suites underwent million-dollar structural makeovers to offer sweeping views, along with new modern décor. In addition to the Owner’s Suites, guests may choose among four spacious Classic Suites; 36 popular Balcony Suites with French balconies; and 64 Ocean View Suites with large picture windows. The yacht’s WindSpa, Fitness Center, two whirlpools, pool, Lounge, Star Bar, multiple dining options, and casino pamper and entertain guests, while its small size means it can tuck into small ports and hidden harbors that other cruise ships can’t reach. Filled Under Blog, cruise sales, cruisenews, Destinations, gallery, What's New?